Folded holiday greeting card (fold at left) printed on your choice of carbon-neutral environmentally-friendly White or Natural (off-white) cardstock. This painting was inspired by Duffy's infamous paintings of scenes from his window. 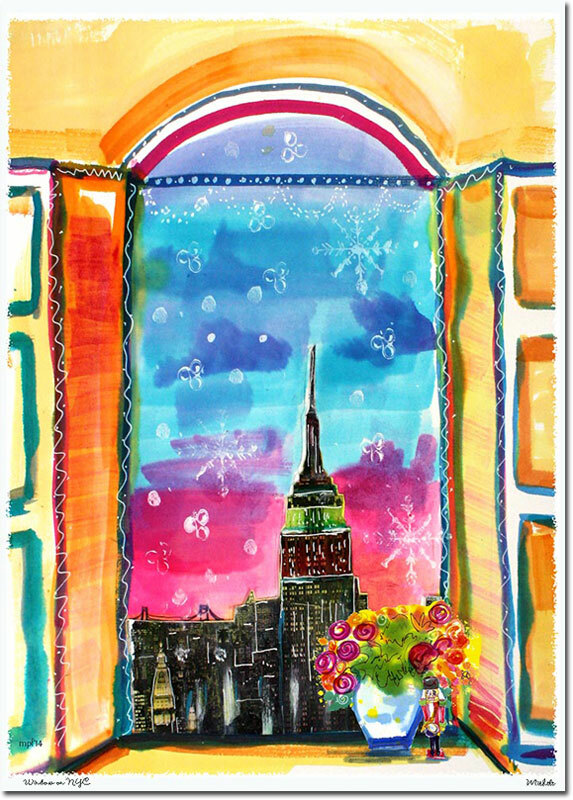 Bright and colorful, these cards are sure to delight all who receive them. 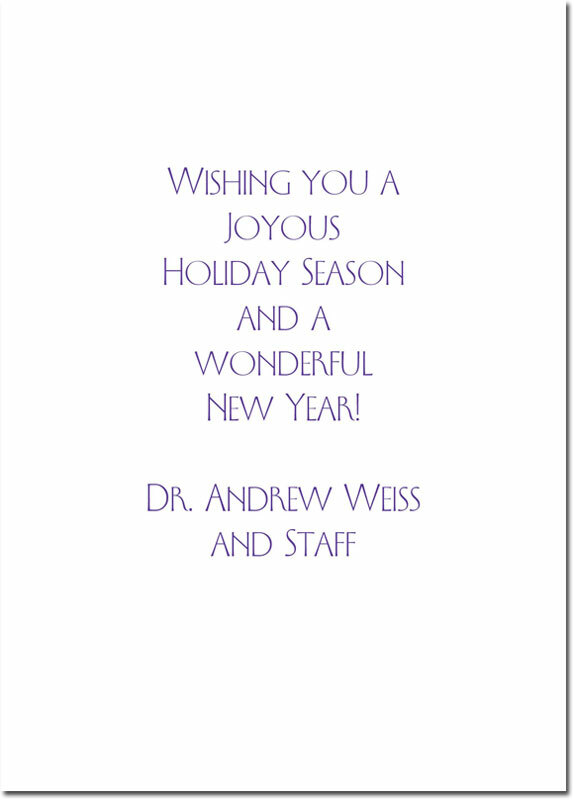 Your choice of greeting and signature lines print on the inside of the card. Beata shown. The typestyle will be as shown with the sentiment you have chosen OR you can change the typestyle to any available typestyle for an additional fee. Sentiment 581 shown. You can keep the current sentiment or choose a sentiment as shown in any other card. You can also create your own custom sentiment for an additional charge.